I have lived or traveled in the Caribbean since 1987. Since then I have heard of the optical phenomena called a Green Flash. I had sat through many a sunset cocktail parties as the guest watched for this much discussed sight. Many times as the sun set, folks would yell, “did you see it, did you see it?”..NOOOO I never saw it. I went so far as to hold my eye lids open during a few sunsets for fear my blink would miss this event. Finally, I gave up believing that it was merely a few cocktails that led my friends to believe there was actually such a thing as the Green Flash. One day a few years back I was driving from home to town on Bonaire. It was close to sunset as I passed Donkey Beach. 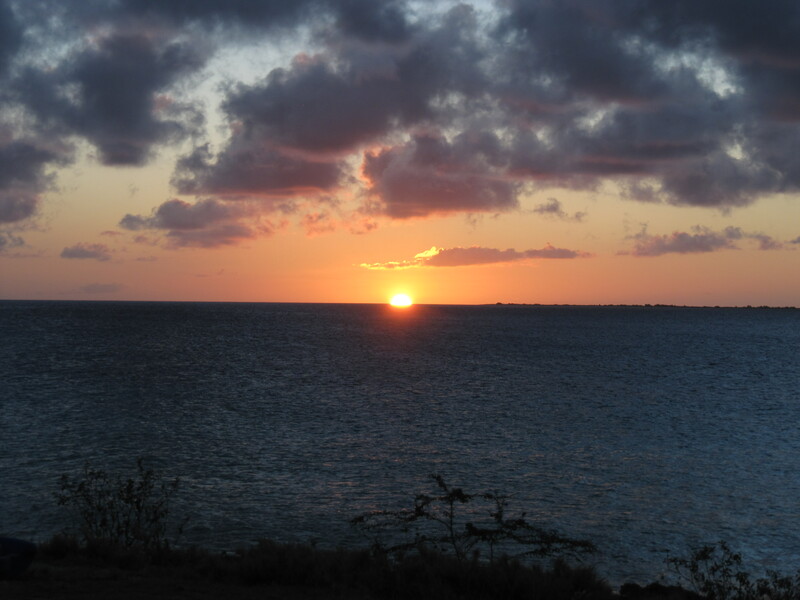 I glimpsed to the left to catch the sun dip into the horizon and lo and behold, I saw the Green Flash. There was no effort, I merely looked for a moment. I had no camera to capture this lovely vision but I smiled as indeed now I too witnessed the ever elusive green flash. Last night I was headed to town to dine with friends. It was 6:56 AST and the sun sets here at 7. I pulled over again at Donkey Beach and watched. The sun slowly melted into the landscape and suddenly I saw the greenest hue cover the horizon for a split second. 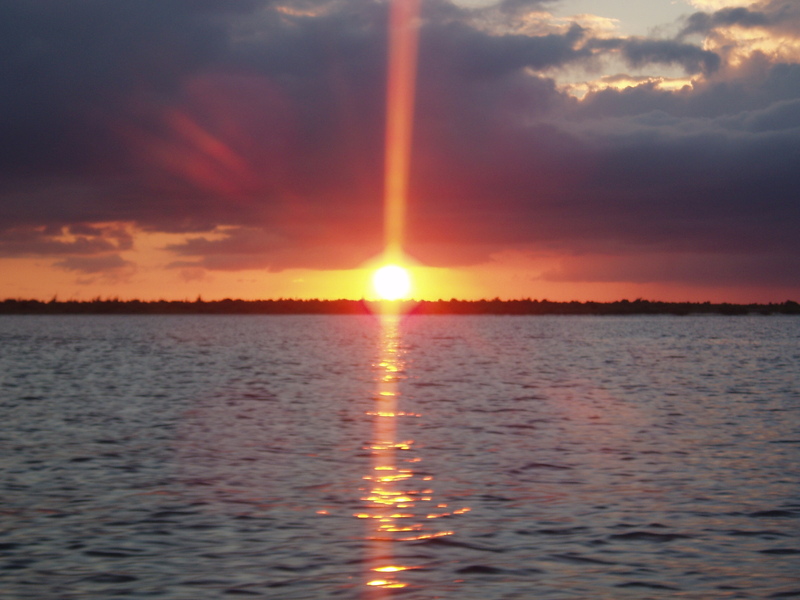 Yes, my friends..there is indeed a green flash…and I have seen it for my own eyes. This entry was posted on July 26, 2011 at 1:42 pm and is filed under Culture. You can follow any responses to this entry through the RSS 2.0 feed. You can leave a response, or trackback from your own site.